UPDATED: Sun., Nov. 19, 2017, 9:26 p.m.
TOKYO – U.S. military personnel in Okinawa have been restricted to base and banned from drinking alcohol after a Marine was arrested over a crash that killed a Japanese man. Police on the southern Japanese island arrested 21-year-old Nicholas James-McLean late Sunday on suspicion of negligent driving resulting in injury or death and driving under the influence of alcohol, said Kazuhiko Miyagi of the Okinawa police. He confirmed that a breath test indicated James-McLean had an alcohol level that was three times the legal limit. The Marine was slightly injured, Miyagi said. 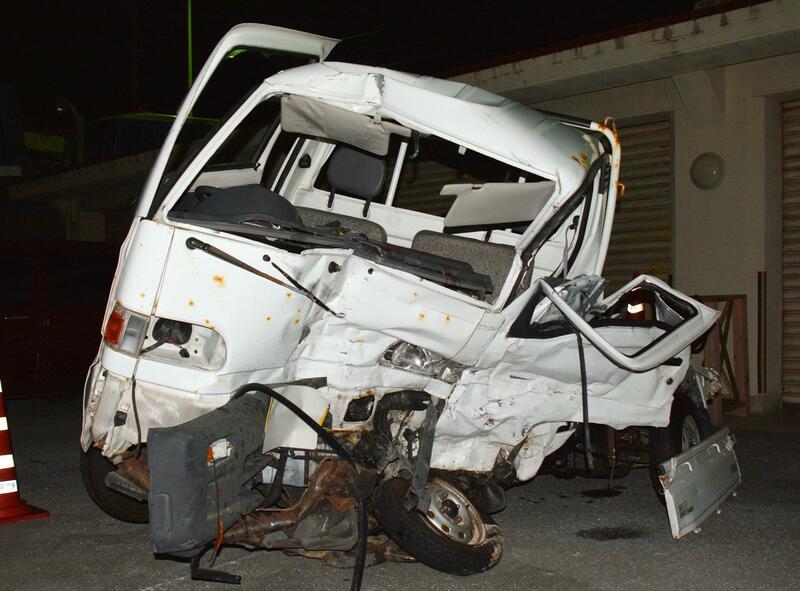 Hidemasa Taira, 61, who was driving a small truck, died in the Sunday morning crash in Naha, the main city in Okinawa. He was making a turn when his vehicle was hit by James-McLean’s truck, which was coming from the opposite direction, according to Japanese media. The reports cited witnesses as saying the Japanese driver had the right of way when the crash occurred and the Marine may have driven through a red light. The incident could fuel opposition to the U.S. military presence on Okinawa, where about 25,000 American troops are stationed and where local residents have expressed concerns in the past about military crime and crowding on the island. The U.S. military said “alcohol may have been a factor” in the crash. Buying and drinking alcohol was banned for U.S. military personnel all over Japan. As well, those on Okinawa were restricted to base and their residences, until further notice. The military said commanders across Japan will immediately lead mandatory training on responsible alcohol use and acceptable behavior. “When our service members fail to live up to the high standards we set for them, it damages the bonds between bases and local communities and makes it harder for us to accomplish our mission,” U.S. Forces, Japan, said in a statement posted on its website. Published: Nov. 19, 2017, 9:26 p.m. Updated: Nov. 19, 2017, 9:26 p.m.